Plaza Azalea (formerly known as SCP Centro) is a leasehold office building located in Section 14, Shah Alam. There are 245 units available at this project with built-up from 775 sf. It was developed by SCP Group with a launch price at about RM387 psf, and was completed in around 2014. 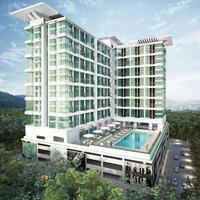 SCP Group is a medium-scale property development group, and it has built about 8 property projects in Malaysia. Other similar projects by the same developer are Bukit Damaisari, Damaisari, Damaisari, KL Traders Square, Lido Residency, Seasons Garden Residences and Traders Square. As for hospitals, there are Avisena Specialist Hospital and Ijn Selgate Hospital. The current market prices for Plaza Azalea are from RM390,000 (about RM500 psf); while the monthly rentals are from RM1,500 to RM2,000 (about RM1.94 psf). The highest median price psf ever recorded was RM660 psf in Q2 2017; while the lowest one was RM387 psf in Q1 2012.